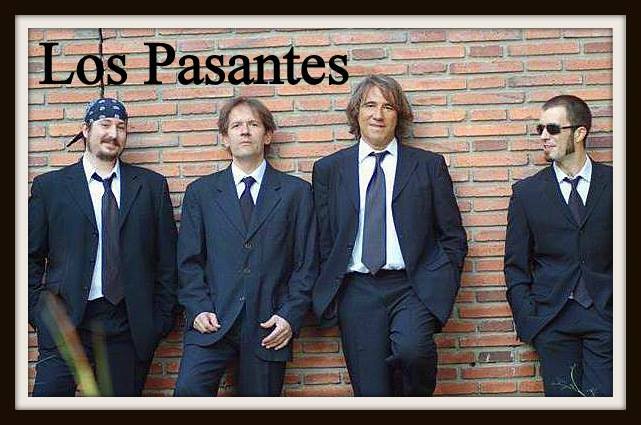 Los Pasantes are an experienced band from Barcelona, with hundreds of gigs on their back. Their repertoire includes the best of international pop and rock, embracing the 60’s, 70’s and 80’s and playing The Beatles, but also The Beach Boys, The Who, The Kinks and Spanish bands such as Los Brincos, Los Bravos, Sirex… always with passion and great energy. They have played several times at the Beatle Festival in Liverpool and, incidentally, in Madrid’s bullring Las Ventas, celebrating The Beatles concert in 1965. Since 1996, they are regular guests in stages around the country, having won the Radio Flash-Back’s “Directe al Zel” contest as the best live Catalan group. They have also played in England, France and Germany. LOS PASANTES are Luis Barbero and Carles Fonollosa on guitars, Gerard Huguet on bass and Juanito Linares on drums. With Luis, Carles, Gerard and Juanito, we can definitely have a good time!